The 2016 Sprint Cup Series Rookie of the Year battle is one of the best in recent memory, with second-generation driver Chase Elliott facing off against third-generation driver Ryan Blaney. Get the updated information on Blaney in this week’s Fast Facts, originally published in Sept. 2012. Ryan Michael Blaney was born Dec. 31, 1993 in High Point, NC. He’s a third-generation racer: his grandfather, Lou Blaney, was a sprint car and dirt modified champion, then became the owner of Sharon Speedway in Ohio. His father, Dave, was the 1995 World of Outlaws Sprint Car Series champ before moving to the Cup Series; he has recently returned to his dirt track and sprint car roots. Ryan’s uncle Dale is also a championship sprint car driver, having won six All-Star Circuit of Champions titles. Blaney’s racing career began in quarter midgets, winning his first feature at age nine. He then moved through the ranks of Bandoleros, Legends and Late Models, winning numerous races along the way. He was the 2011 PASS South Super Late Model Series champion, making his debut in the ARCA Racing Series and NASCAR’s K&N Pro Series East and West that same year. In his ARCA debut, Blaney won the pole at Winchester (Indiana) Speedway with a track-record time, then led 154 of 200 laps before finishing sixth after a cut tire. Blaney made his top-tier NASCAR debut in 2012, competing in the Nationwide (now Xfinity) Series for Tommy Baldwin Racing (six races) and Team Penske (seven races) and earning a best finish of second at Texas in November. He also raced nine times in the Camping World Truck Series for Brad Keselowski Racing, winning his first race at Iowa in September. Blaney competed full time for BKR in the Truck Series in 2013 and 2014, earning the Rookie of the Year title for the series in 2013 and finishing second in points in 2014. He made his Sprint Cup Series debut in 2014 as well, finishing 27th at Kansas in May and 22nd at Talladega in October. 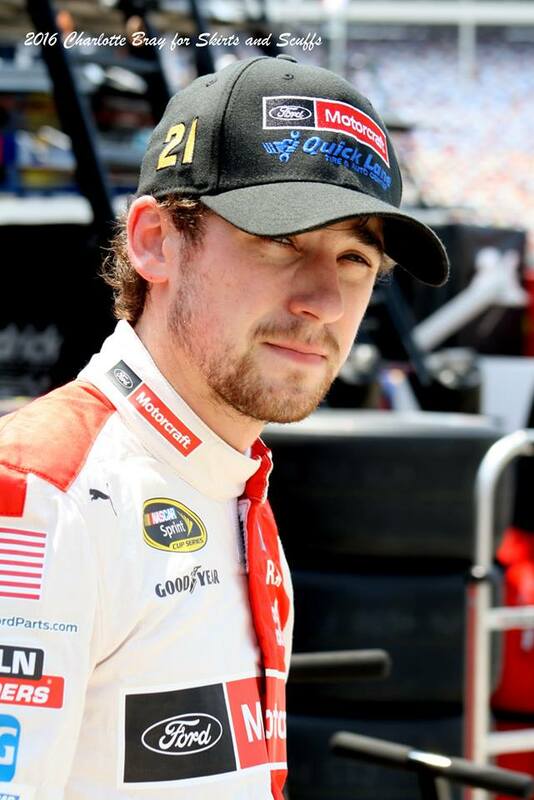 In 2015, Blaney raced part time in the Cup Series for Wood Brothers Racing, earning a best finish of fourth at Talladega in May; that became a full-time ride in 2016. Learn more about Blaney at his website, ryanblaney.com.